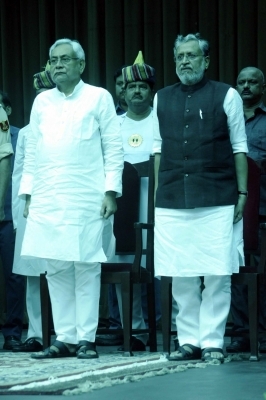 Patna, July 27 (IANS) Former Deputy Chief Minister Tejashwi Yadav on Thursday said Nitish Kumar was an “opportunist” after the JD-U chief broke ties with the RJD and allied with the BJP to form a new government in Bihar. The graft-accused son of Rashtriya Janata Dal (RJD) chief Lalu Prasad, in a series of tweets, lashed out at Nitish Kumar and the Bharatiya Janata Party for a “wicked power grab” that would trigger “repercussions”. He denied corruption charges against him and said he had entered politics with a clean slate and was eager to write a positive story. “I entered (the) government with a clean slate, with a keen desire of writing a positive story for people of Bihar, only to find an opportunist rival,” the 26-year-old RJD leader wrote. 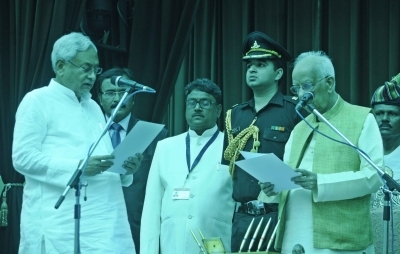 The tweets came after a two-member Bihar cabinet of Chief Minister Nitish Kumar and BJP leader Sushil Modi as his deputy was sworn in, some 12 hours after the Janata Dal-United chief resigned and split the Grand Alliance that had come to power 20 months ago. Tejashwi Yadav said the “vicious greed for power of opportunism will spell its own doom”. Apparently referring to corruption charges against him and his father, Tejashwi Yadav said he was not perturbed by the “past baggage, though unjustified”, when he was entrusted to carry the expectations of people’s mandate in the role of Deputy Chief Minister. He said both the BJP and the JD-U were perturbed by his performance and “vendetta against me exposes their viciousness”. “Repercussions are expected and imminent,” Tejashwi Yadav said.